Résumé and Structured CV – What is the Difference? Résumé, CV and Structured CV – What’s the Difference? Read about how you can write an accurate and efficient structured CV suited for job applications in your home country in our article called How to Write a CV. 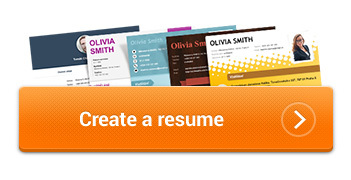 Or, you can spare yourself the work and have a professional CV generated here. How does it work if you’re applying for a job abroad? We must explain what the difference between a CV, or curriculum vitae, and a résumé is. A résumé is in fact very similar to a structured CV. It is a short summary of your professional life—two pages long, at most. It briefly describes your education, experience and abilities. On the other hand, a CV is much more extensive, and is usually up to four pages long; the minimum is often two pages. You should include more detailed information about yourself, such as any awards or publications. These are just the right pieces of information that should be emphasized in a CV. It’s obvious that CV’s are especially required for people in relatively high positions. We mean, for instance, scientists, physicians, university teachers, managers, and so on. Do you think that this classification is meaningless? At the moment, there is some momentum behind the Europass, a project which aims to standardize the documents presented by job seekers to their potential employers in the Member States of the European Union. You can read more about it in this article.